Three ships of the People's Liberation Army Navy (PLA Navy) of China, "Chang Chun", "Jing Zhou" and "Chao Hu" arrived at the port of Colombo to assist the ongoing relief operations on Wednesday (31st June 2017), sates Navy media. The three PLA ships were initially on a goodwill visit subsequently changed its intensions on relief efforts due to the prevailing situation in the island. Five medical teams and 10 small boats have also arrived onboard to assist in the ongoing flood relief operations in close collaboration with the Sri Lanka Navy. 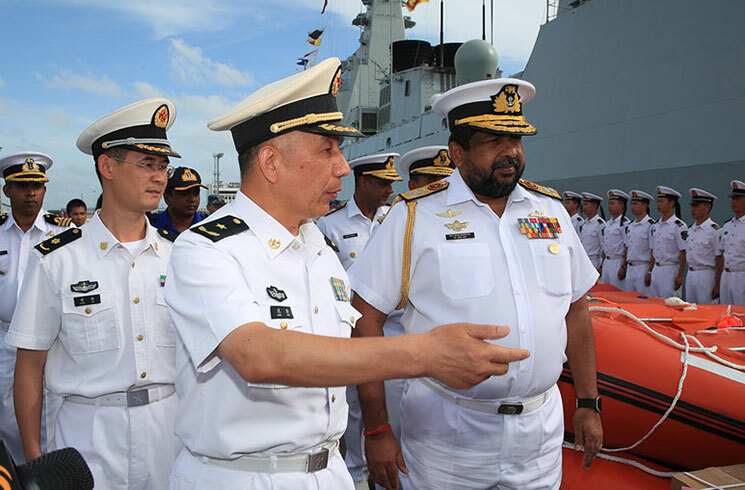 The large consignment of relief materials that were dispatched by the Chinese Government was officially handed over to the Commander of the Navy Vice Admiral Ravindra Wijegunaratne during his visit to the ships. Disclaimer: This article was originally produced and published by Ministry of Defence - Sri Lanka. View the original article at Ministry of Defence - Sri Lanka.